Our twin granddaughters are in gymnastics-they will love these! Perfect for my young granddaughter who loves gymnastics! My granddaughter just started gymnastics I think she will like this. 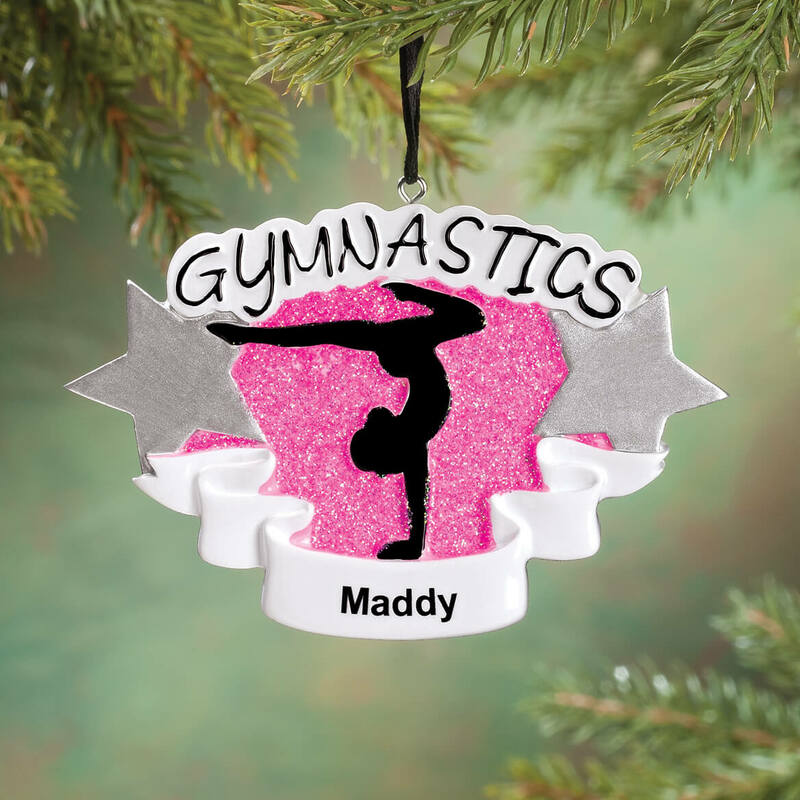 Our pre-teen granddaughter is heavily into gymnastics and travels all over for it - she is stunningly good at what she does - so this is the perfect ornament for her! Granddaughter is in gymnastics-she will love this. 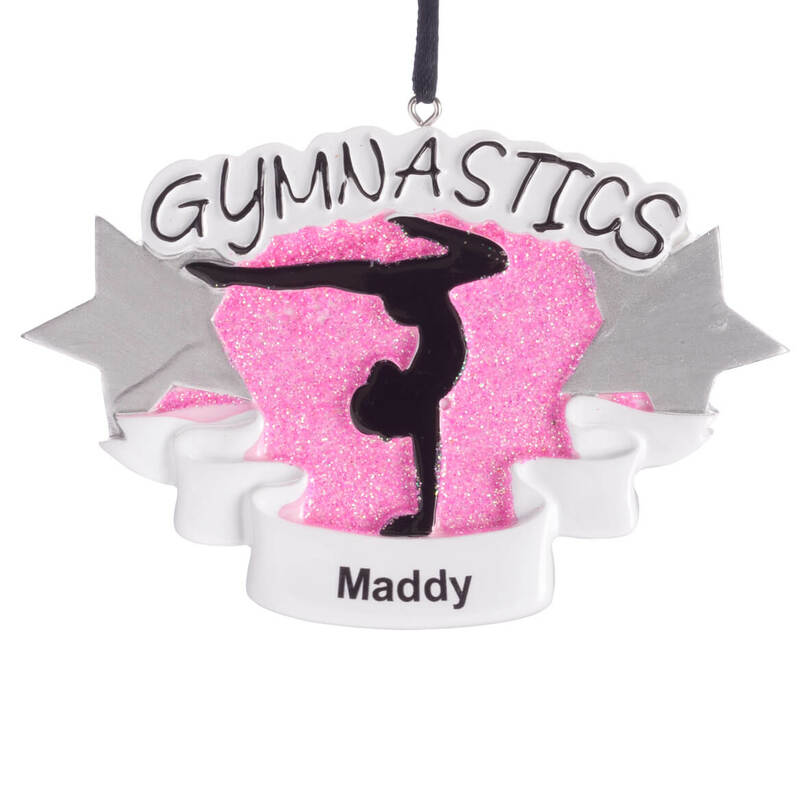 When will the gymnastic ornament be available? Can name & year be put on it? BEST ANSWER: Thank you for your question. There is a total of 16 spaces, so it really depends on how long the name is. We hope this information will be of help to you. Can you put name & 2018? BEST ANSWER: Thank you for your question. There is a total space of 16 letters so it depends on how long the name is. We hope this information will be of help to you.